This August, World of Tanks firm Wargaming had its 20th birthday. The company - founded in 1998 in Minsk, Belarus - had an uphill battle for its first 12 years. Initially focusing on real-time strategy titles such as DBA Online and Massive Assault, the company pivoted to online action titles with a free-to-play business model in 2009. This shift was worth it, with the launch of World of Tanks in 2010 taking Wargaming to the big leagues. Now, the company boasts offices around the globe, is sharing its knowledge of the free-to-play market via its Alliance publishing label and even runs its own games conference in 4C. It claims to have a total audience of over 200m players. It's easy now to view Wargaming as a huge success - but the firm had very humble beginnings. 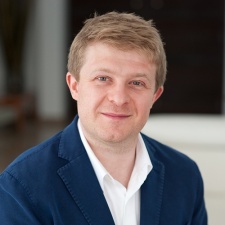 "I've been thinking a lot about [Wargaming turning 20], obviously," CEO Victor Kislyi says. "I belong to this very interesting generation. The people who played early games like Pac-Man and Space Invaders were not passionate gamers - they enjoyed them but then went back to their normal life. Together with my brother and friends, I was lucky to get this wave of Doom, Quake and all those games which actually were something to be passionate about. We were playing games in every spare minute. "In the mid-90s, games became part of our lifestyle. I'm lucky because I was at the right place in the right time to turn this obvious passion before Wargaming into a day job. I still play Civilization and other games and turned this into a business to earn some money. It's my passion. Can you be happier than me? My passion is my day job." Games is a young business, and there aren't that many companies that have lasted for two whole decades. Kislyi says that persistence and passion are the main reasons why Wargaming has made it to 20. "Passion probably is the top reason. When you are passionate about something, you just keep doing it," he explains. "Now you may say we're relatively successful, but it hasn't always been like this. World of Tanks was released eight years ago. Before that, it was about persistence. Just like those motivational and inspirational books and movies, we kept going. We made something, it wasn't successful, but you stand up and keep going. You'll end up making something slightly better, but not yet there. You cannot give up. The persistence of my friends, my brother, my family and I are the key to that. It's like any business, you need to be persistent and consistent and you have to believe in victory. That's what we were doing for a long time." Asked to name his personal highlight from Wargaming's 20-year history, Kislyi makes reference to a number of milestones, both internal and external. But the exec says that the massive fan base his company's games have accrued is what gives him strength. "World of Tanks is one highlight. We've hit many records, both internal and external - like the Guinness Book of Records," he says. "When we crashed the servers and had to do this multiple cluster architecture when we hit one million concurrent users... those are highlights. World of Tanks and World of Warships have massive player numbers. I don't think it's cheesy to say when I meet players from around the world, it gives me energy. I am one of them. I play other games, but I also play World of Tanks and World of Warships. Seeing how you make people happy is great." 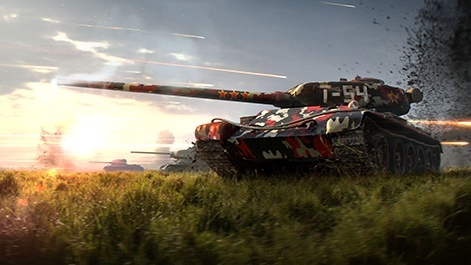 The massive success of World of Tanks has clearly been beneficial to Wargaming, but Kislyi says the subsequent and necessary expansion has been a challenge. "Before World of Tanks, we were a relatively small company. It's about management style and how you actually do it every day. Before the big success, you had to be inspirational, give speeches, say: 'Hey, we'll come back, we'll do it'. You have to believe in it and infect other people with your own belief. It's more of a family style," he explains. "When you have more than 2,000 people, the real challenge happens - running a big corporation. Unfortunately, it's difficult. The nature of our business is very international. We have to have offices on every continent for publishing, marketing and PR, promotion purposes, as well as the development. There's no one city that can host all of our development needs. You have to open offices and buy companies in different parts of the worlds. That comes with different cultures, different time zones, ten hour flights... running any big corporation is a big challenge. "Civilization is a very difficult game that requires a lot of thinking. However, you cannot compare it to running a big company. There's the notorious 'human factor'. Dealing with that is really difficult. You want people to be inspired, motivated, as much as you expect them to be professional, loyal and engaged. Those things don't happen automatically. You have to work hard. There are layers of management. but we try and keep Wargaming as flat as possible. But still, there are still levels. Believing in yourself and inspiring new leaders on the second level of management with those employees inspiring their staff. It's really difficult. It's not just about games and game design - it's about this management. Which is not easy." Looking to the near future, Kislyi says that with the games market having an audience that's bigger than ever, he wants to address a larger audience - and run his company for another 15 years, at least. "We're on the right path but we have to continue doing well - making, testing and releasing cool games," he says. "If you think about the range of age and geography, there are games for everyone. There are older people, younger people, more competitive games, less competitive games, story-driven games, esports games... we are far from covering all that range even with World of Tanks. Our business is to keep upgrading our games which are obviously more of a cultural phenomenon." He concludes: "It's like The Simpsons running for 35 years. We have to run for 35 years minimum. It's harder as games are interactive. But that's what we are doing."